With its hot looks based on an Arabian Desert theme and the range of impressive games and promotions, 7 Sultans is another great online casino that is a must-visit destination for online gambling enthusiasts. 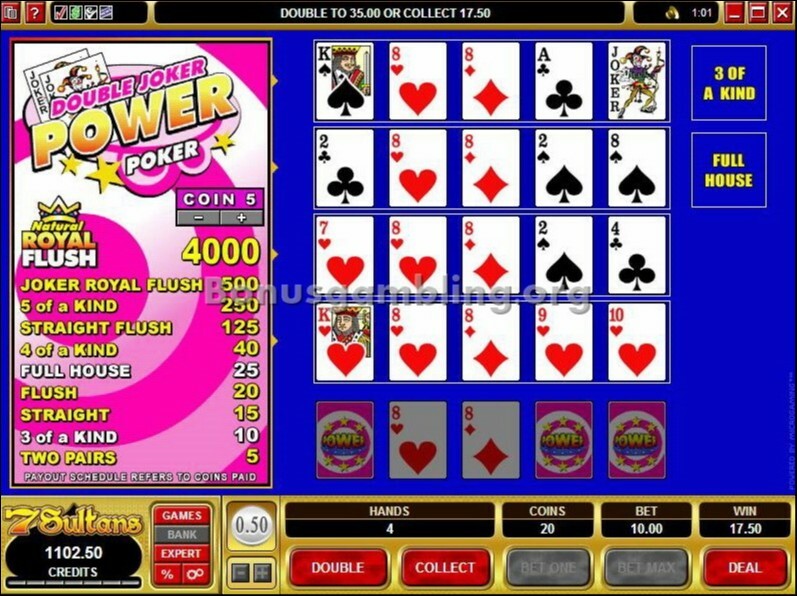 One look at the casino and it is easy to figure out the huge popularity this casino enjoys. This casino is a member of the Fortune Lounge group of online casinos and is one of the biggest as well as oldest among online casinos. 7 Sultans has an amazing home page that captures completely the spirit of the Arabian world, complete with desert, camels, and oases to boot. The home page has some exquisite graphics and looks fabulous. The casino layout is simple and effective. All the important links are easily accessible and navigating across the site is simple and easy. 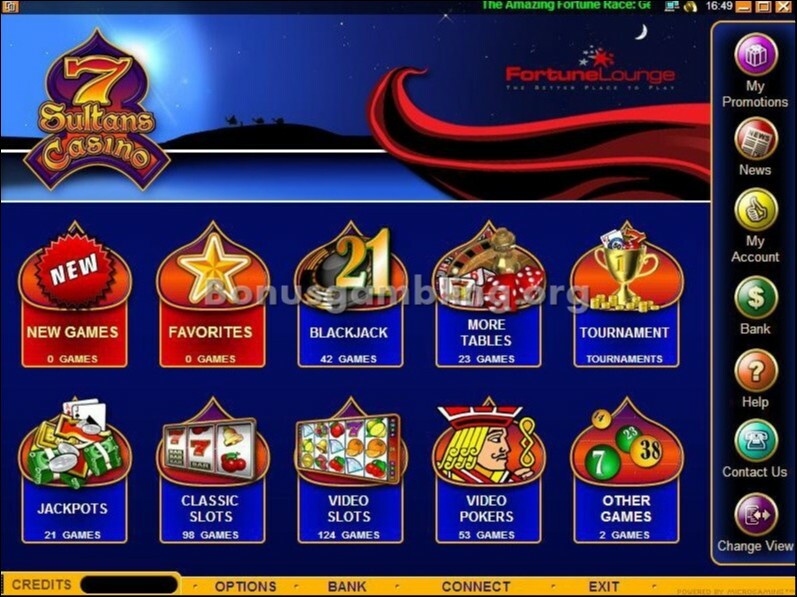 Like other Fortune Lounge group casinos, 7 Sultans is also powered by software from Microgaming. The software is robust and is available for download to your computer. You also have the option of playing directly from a browser using the instant play mode. 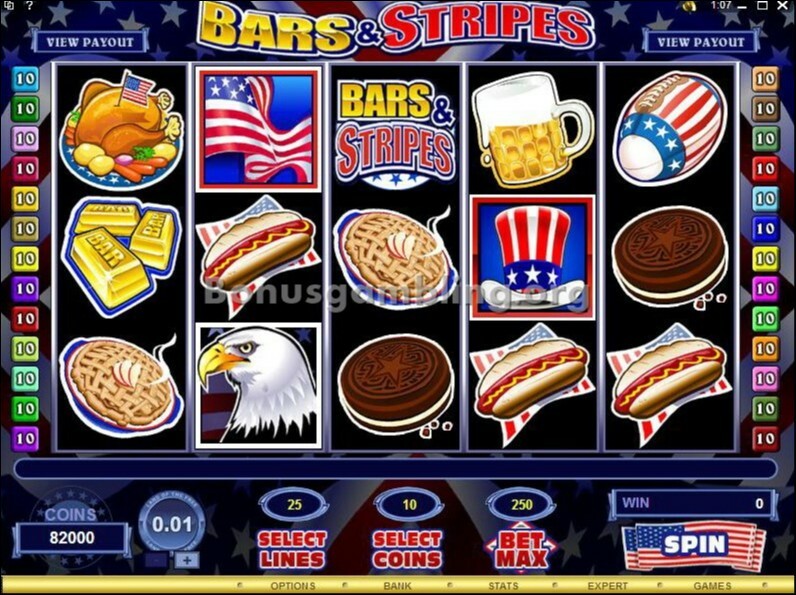 Apart from the excellent graphics and animations, the Microgaming software also provides the casino with some high quality sound effects. Players can also use the PlayCheck and CashCheck applications to track their hand and cash histories. Other player-friendly features include multi-table gaming, multi-lingual access as the casino is available to players in seven different languages, multi-lingual customer support, multi-currency transactions, and more. Besides, you also get to play a huge range of games at 7 Sultans. The games available are some of the best in the industry and include video poker, table and card games, slots, specialty games, and more. 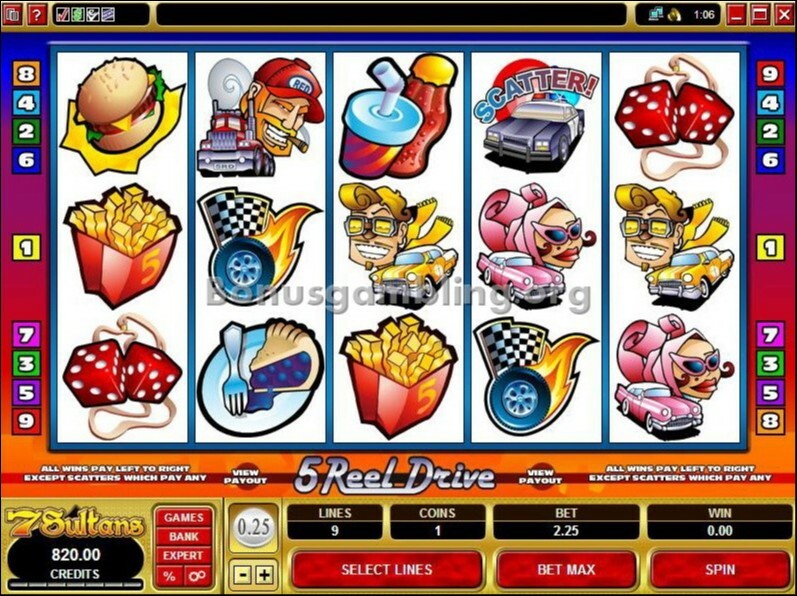 You can participate in slots tournaments as well at this casino, and also try out the progressive games for a shot at the massive progressive jackpots. You get excellent customer support at 7 Sultans thanks to a friendly and completely professional customer support team. You can contact a member of this team 24x7 through live chat, telephone, and e-mail. You can also check the FAQ section at the casino for answers to your queries before contacting the support team. 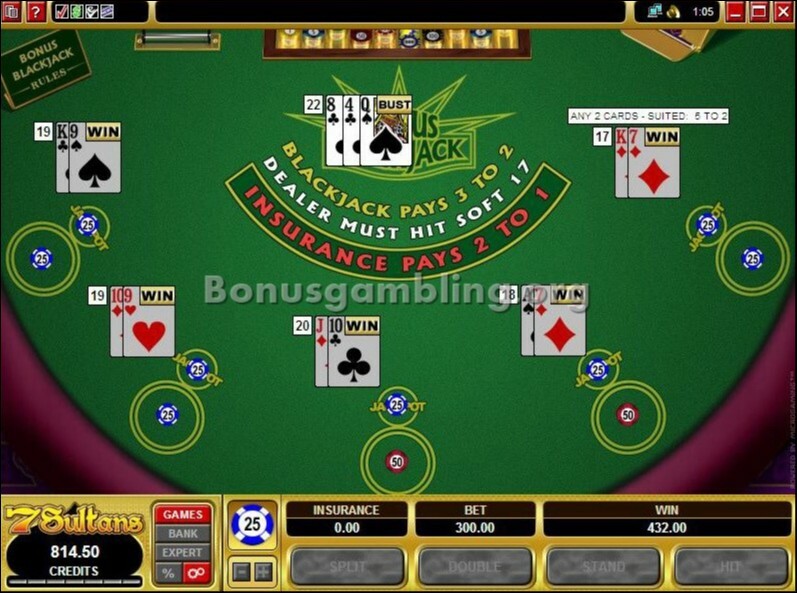 The 7 Sultans online casino is operated by Digimedia Ltd., a company that is registered in Malta. 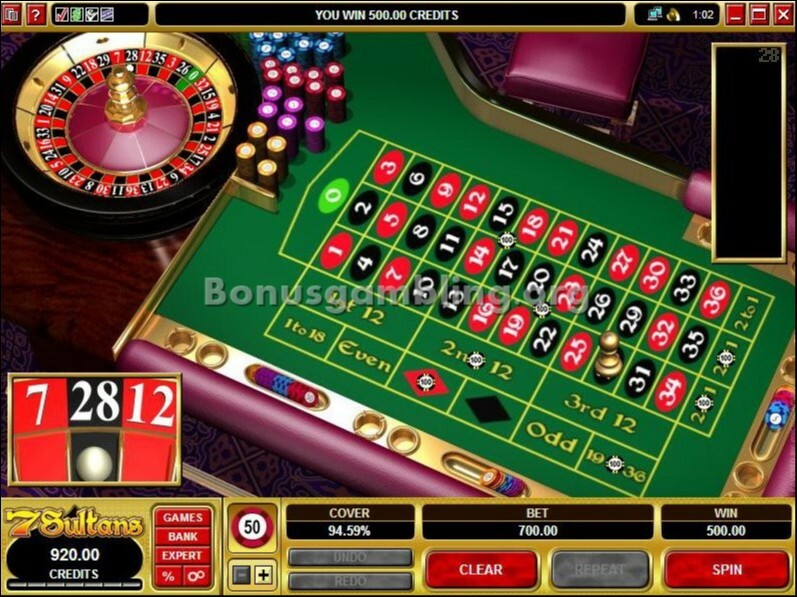 It is licensed and regulated by the Lotteries and Gaming Authority of the Government of Malta and provides a completely safe and secure online casino environment by using advanced technology like 128-bit SSL encryption. This casino is certified for fairness by eCOGRA and accepts only players over 18 years of age. US players are not welcome at 7 Sultans. I have always enjoyed playing at Microgaming-powered casinos simply because of all the great things you get at a casino like that – superb looks, an awesome range of games, fantastic promotions, and all the other cool features they have. So when I came across the Microgaming-powered 7 Sultan’s casino, I dived right in and had a fantastic experience. 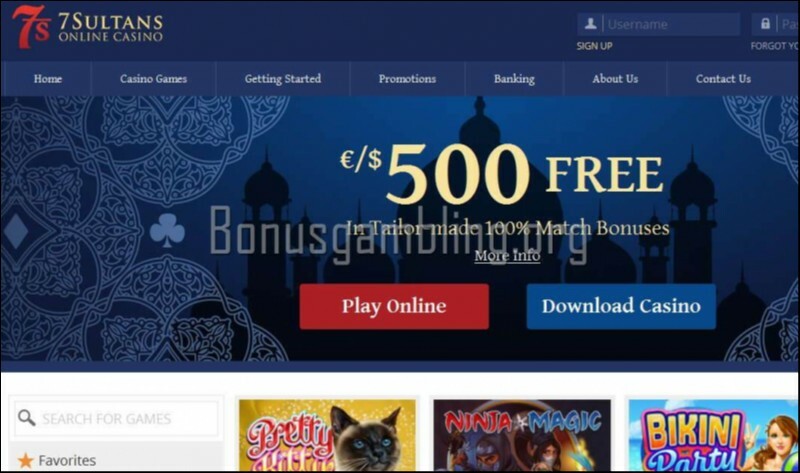 A member of the Fortune Lounge group, a well-known name in online gambling circles, 7Sultans has some serious promotions on offer for newcomers. I was thrilled to see the welcome bonus of up to €500 - 100% over a maximum of 5 deposits. 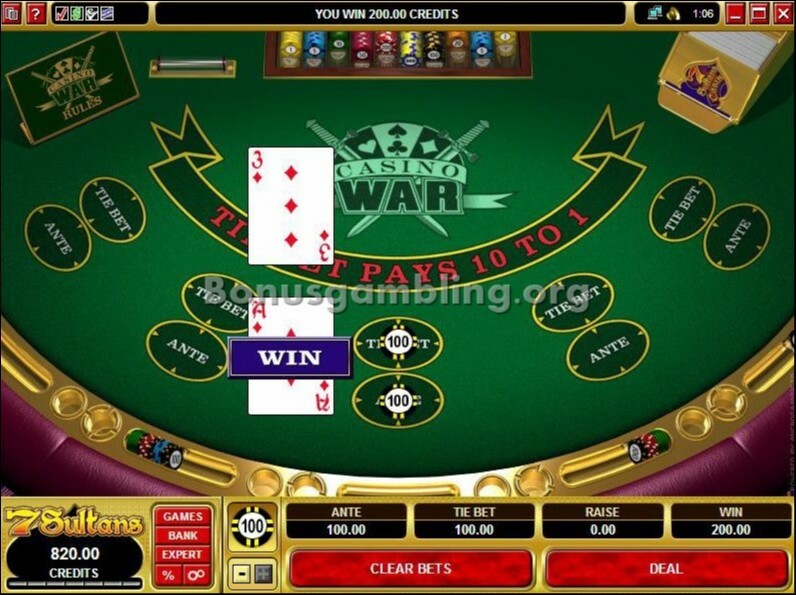 All in all, 7 Sultans online casino was a fun experience and I would really love to recommend this casino to those serious gambling fans looking for some great casino action.